Quiapo Church is home to Black Nazarene, a much-venerated statue of Jesus Christ which many Filipinos believe has miraculous attributes. Faith and action come hand and hand. 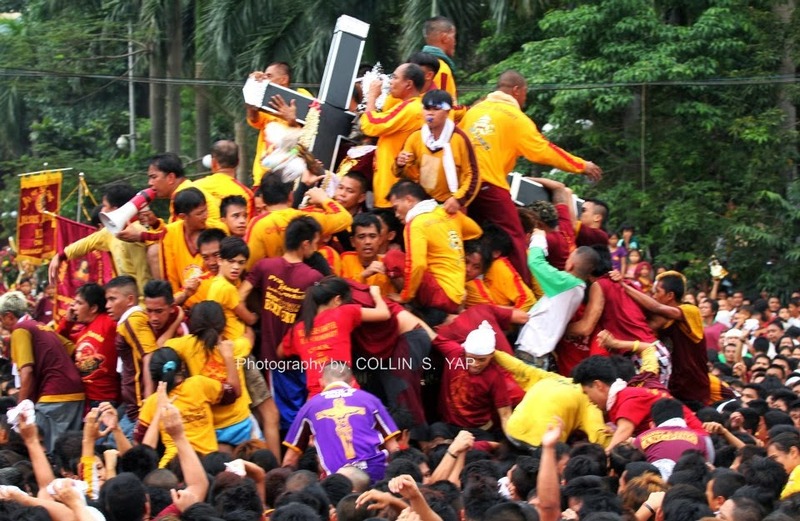 It may be chaotic but no one could stop the devotees of the Black Nazarene from attending its feast day celebration. 12 million devotees are expected to flock to Quiapo Church and around its streets today. Year after year, Filipinos coming from different provinces and abroad, together with curious foreigners, join the traditional procession. If you want to join the celebration today, expect a sea of devotees carrying the statue of Poong Itim na Nazareno (Black Nazarene) around the streets of Manila, especially in the Quiapo area. Ang daming mga devotees! God bless you all!